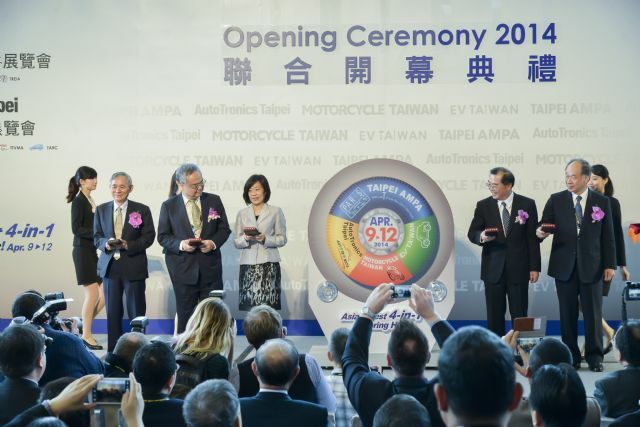 Vice Economics Minister Shen Jong-chin (3rd from left) and other VIPs jointly open the 4-in-1 event: of 2014 TAIPEI AMPA, AutoTronics Taipei, Motorcycle Taiwan, and EV Taiwan. 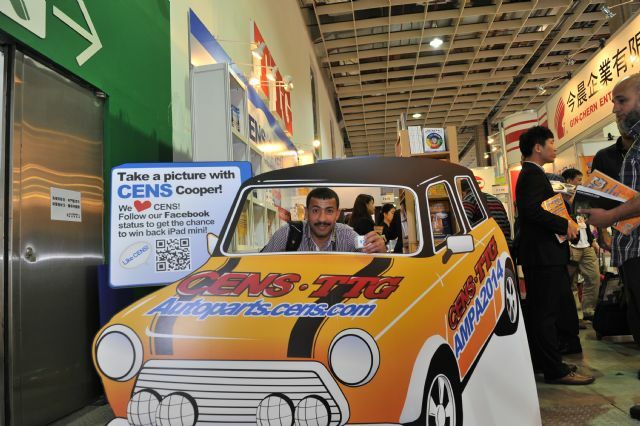 The 2014 TAIPEI AMPA (30th Taipei International Auto Parts & Accessories Show) and 2014 AutoTronics Taipei (9th Taipei International Automobile Electronics Show), two of the world's most important auto-parts shows, were held from April 9 to 12 at the TWTC Nangang Exhibition Hall and TWTC Exhibition Hall 1 in Taipei, the capital of Taiwan. The shows set all-time records, according to the organizer, the Taiwan External Trade Development Council (TAITRA). TAIPAI AMPA and AutoTronics Taiwan were part of a four-in-one event for the first time this year, being held simultaneously with two other vehicular exhibitions, the 2014 Taiwan Int'l Motorcycle Industry Show (9th MOTORCYCLE TAIWAN) and 2014 EV Taiwan (4th Taiwan Int'l Electric Vehicle Show). 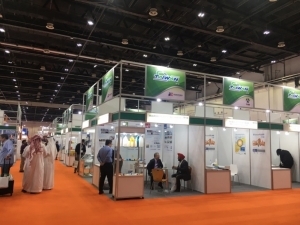 TAITRA reports that the four exhibitions hosted a combined total of 1,364 exhibitors manning 3,665 booths and attracted about 50,868 visitors. This was the most comprehensive event ever for buyers sourcing just about everything for vehicles powered by internal combustion engines and electric motors. 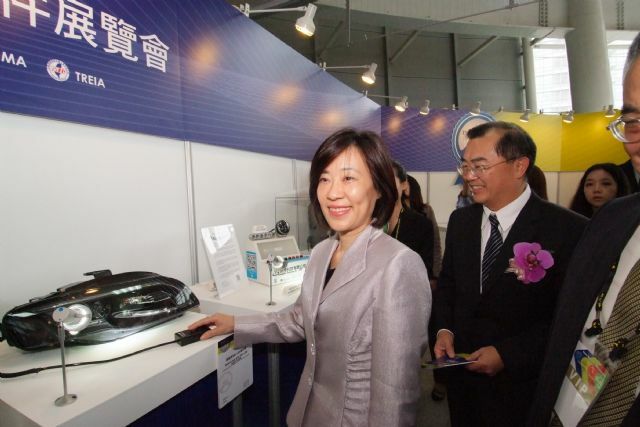 Vice Economics Minister Shen (left) points to the latest auto lamps, accompanied by TAITRA vice chairman San Gee. In addition to record numbers of exhibitors and booths, TAITRA says, the shows attracted some 7,017 international buyers (2013: 6,813) from 128 (2013: 130) 130 nations, also records, and generated a projected more than US$600 million worth of potential business opportunities--again, the highest ever. The top-10 buyer nations include Japan, China, the U.S., Malaysia, South Korea, Thailand, Singapore, Indonesia, and the Philippines. TAITRA says that the shows' success reflects the efficient promotion of trade relations between emerging markets and Taiwan. Many buyers from international companies with annual revenues of more than US$100 million came to the island looking for quality companies and products, including Advance Auto Parts of the U.S., Delphi Shanghai, Megna Shanghai, Sunstar Singapore, Temsa Global of Turkey, Magura of Germany, Tecnolglobe of France, and RAFI of Germany, among others. At the joint opening ceremony, San Gee, vice chairman of TAITRA, thanked government officials and executives of the co-organizers for their presence. The VIPs included Shen Jong-chin, vice minister of economic affairs; C.F. Wang, chief secretary of the Bureau of Foreign Trade (BOFT); Lin Sheng-yi, chairman of the Taiwan Rubber & Elastomer Industries Association (TREIA); Cheng Fu-hsiong, vice chairman of the Taiwan Electrical & Electronic Manufacturers' Association (TEEMA); and Juang Jan-pei, chairman of the Auto/Motorcycle Components Manufacturing Committee under the Taiwan Transportation Vehicle Manufacturers Association (TTVMA). 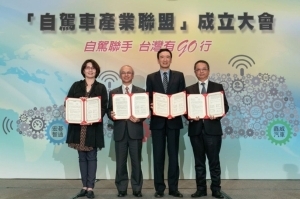 Prizes were presented to the winners of the 2014 TAIPEI AMPA and AutoTronics Taipei Innovation Awards, four for TAIPEI AMPA and six for AutoTronics Taipei. 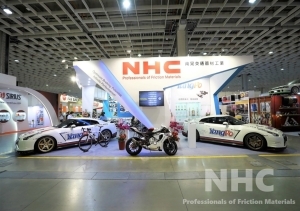 The awards were displayed in the "Innovation Awards" section of the Nangang Exhibition Center. TEEMA's Vice Chairman Cheng noted during his opening speech that the global output of automotive electronics was approximately US$197.5 billion in 2013 and is expected to increase to US$238.8 billion in 2015. The industry's greatest potential lies in driving information, safety assistance, and automotive body electronics, he said; and with the rise of the automotive industry in the emerging Association of Southeast Asian Nations (ASEAN) markets, many countries are focusing on the development of energy-efficient automobiles. 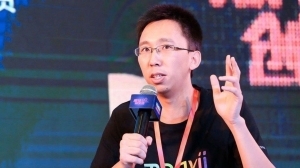 "Taiwan companies have also gradually entered the international automotive supply chain, which shows that they have the capability of switching from consumer-based hardware and service to vehicle information and communication services," Cheng commented. In 2013, Cheng said, the value of Taiwan's automotive electronics output was approximately NT$133.9 billion (US$4.46 billion); this was an increase of 12% over 2012's NT$111.6 billion (US$3.72 billion), reflecting the growing demand for automotive electronics from both domestic and overseas markets. He noted that driver assistance systems such as information systems, blind spot detection, lane departure, parking assistance systems, and automotive LED systems will be the major focuses of automotive electronics development in the future, and in fact have gradually become basic accessories on imported cars in the original equipment service (OES) market and aftermarket. Cheng urged Taiwanese companies to seize the opportunity to develop such products. 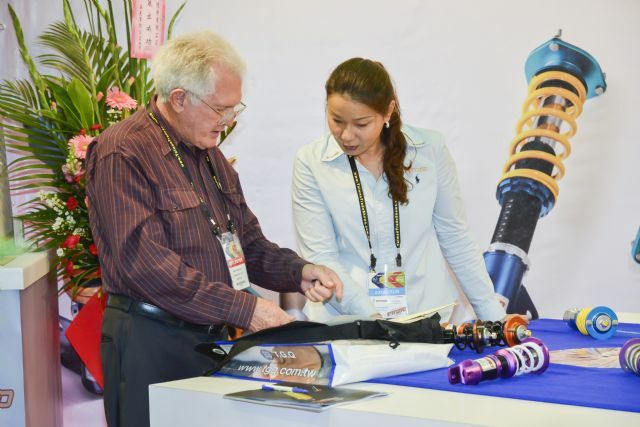 TTVMA committee chairman Juang said that after 30 years, this year's shows attracted a total of 1,346 exhibitors occupying 3,665 booths, implying a rapid development of the automotive, motorcycle, and EV industries on the island. 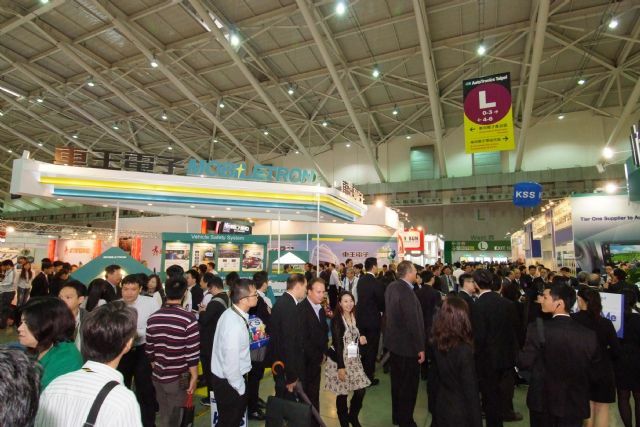 The 4-in-1 mega show was the largest exhibition held in Taiwan, with 1,364 exhibitors and 3,665 booths. In 2013, Juang added, the total production value of assembled transportation vehicles and parts in Taiwan (including 330,000 cars and 1.15 million powered two-wheelers) reached NT$508.4 billion (US$16.95 billion), an increase of 400% from 1984. Taiwan's exports of assembled cars and auto parts have been hitting new record highs in recent years, thanks to improved quality and strong price competitiveness. 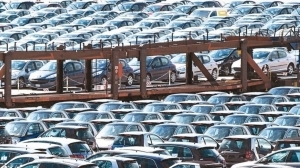 In 2013 the island exported 82,427 assembled cars, a 16.2% increase from 70,906 units in 2012, and NT$197.9 billion (US$6.6 billion)-worth of auto parts, down 0.7% from the previous year. The main export markets for Taiwan-made auto parts, according to statistics compiled by TTVMA, include the United States, the European Union (EU), Japan, and China). The main export products include automotive body parts, auto lamps, rubber tires, wheels, bumpers, rearview mirrors, sheet metal parts, electrical parts, and cooling system parts. The trend toward green energy and carbon reduction has brought big changes to the global vehicle industry. The rise of smart vehicles and EVs, Juang said, has been driven by automotive electronics, green energy, and information and communication technology (ICT). Since Taiwan enjoys a strong competitive advantage in the ICT industry, combined with excellent vehicle industry development opportunities, he added, many companies on the island have tapped into the supply chains of international vehicle manufacturers and tier-1 parts suppliers. 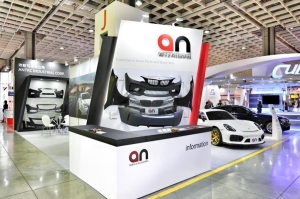 The Taiwanese auto-parts industry has been exhibiting stable annual growth of export sales, and the safety and comfort level, quality stability, R&D and innovation, and product comprehensiveness of the island's auto parts have won wide acclaim from international car manufacturers and the aftermarket. Taiwan-made collision parts (parts often replaced after collisions, such as bumpers, mirrors, radiators, auto lamps, door panels, fenders, and engine hoods) boast a global market share of over 80%. Taipei AMPA is celebrating its 30th anniversary this year. The scale of the show has expanded from 111 exhibitors using 185 booths in 1984 to a total of 993 exhibitors and 2,871 booths this year--a 15-fold growth. 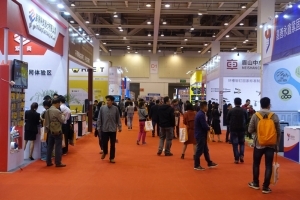 The growth continued this year, with about 160 manufacturers and 200 booths occupied by suppliers from China, Japan, Indonesia, India, South Korea, the U.S., Hong Kong, Thailand, Malaysia, the Philippines, Vietnam, and New Zealand. 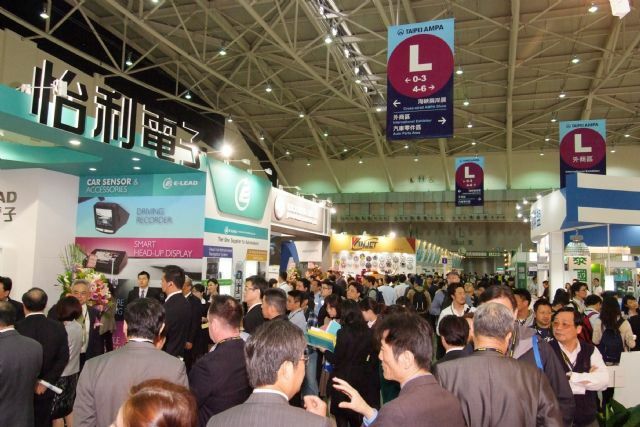 Companies from Hong Kong, South Korea, and Malaysia made up the largest numbers of foreign exhibitors, while those from New Zealand were exhibiting for the first time. The Thailand and Philippines pavilion drew attention with their large size. 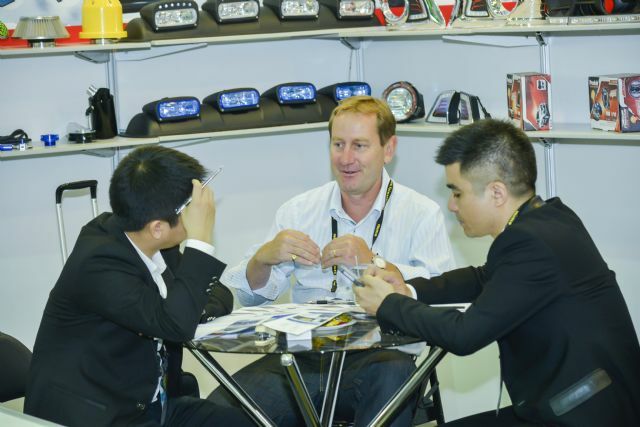 High-quality, globally-competitive auto parts and accessories made in Taiwan draw intensive attention from global buyers. 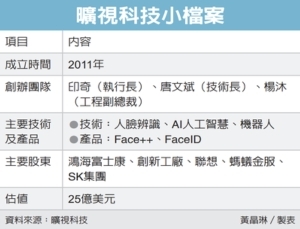 The R&D and innovation capabilities of Taiwan's consumer electronics, computers, and communications (3C) industries are well known throughout the world. 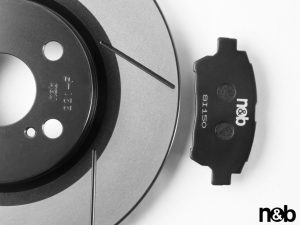 By taking advantage of the island's competitive edge in the ICT sector, domestic automotive-electronics manufacturers have added a fourth "C" to the three, i.e. the "Car" application market, in which there is immense potential. This year's show presented a wide variety of automotive-electronics products which integrate brand-new technologies and innovative breakthroughs, including GPS systems providing information for drivers, audio-visual entertainment systems, anti-theft security systems such as wheel lock anti-theft systems and keyless car door systems, and traffic safety systems such as lane departure warning systems and tire pressure monitoring systems (TPMS). This wide variety of showcased products added much to the show's appeal to global one-stop-shopping buyers. 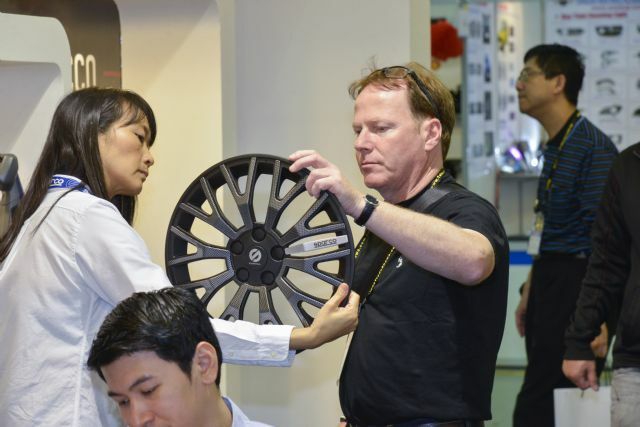 Taiwan exhibits strong competitiveness in the global auto parts market. All big Taiwanese makers took part in the show, including Tung Thih (an OE designer/developer and manufacturer of auto electronic products), E-Lead (an OE supplier of in-vehicle infotainment systems), Whetron Electronics (an OE supplier of car alarm system and parking assistance systems), and Mobiletron Electronics, and KSS. Statistics released by the TTVMA reveal that Taiwan exported a total of 334,621 assembled PTWs in 2013, generating a total export value of US$ 480 million. Exports to the Netherlands and Colombia were up 50% from the previous year and the number of pre-registered buyers from the two countries also surpassed last year's attendance. Due to the rising popularity of big-power PTWs and the increased safety awareness of riders, the 2014 Motorcycle Taiwan not only featured the familiar assembled-PTW and PTW-parts exhibition areas, but added a new area for accessories for riders, providing a larger diversity of displayed items. 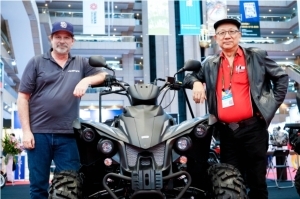 In addition to all terrain vehicles (ATVs) and PTWs with over 250cc engine displacements, which attract the attention of large numbers of visitors every year, the show also featured new items that are highly popular among buyers such as event data recorders installed on safety helmets, helmet cameras, and special purpose shoes for riders. Along with the growing global focus on eco-friendliness and green energy, countries all over the world are strongly committed to the development of the EV industry as a green alternative. 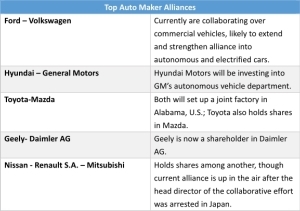 Taiwanese EV manufacturers have developed mature technologies for key EV components, and many of them have received extremely positive feedback from large international manufacturers including Tesla, a major American manufacturer of premium electric cars, and BMW of Germany, whose new i-series electric cars have adopted different parts sourced from local parts makers. The Taiwan government has been investing in development strategies and action plans for smart EVs with the goal of elevating the Taiwanese EV industry to a state of greater maturity over the period of 2010 to 2016, with the total amount of invested investment expected to reach US$320 million. The EV Taiwan show showcased the island's latest successes in the field of R&D including light electric vehicles (LEVs) which can be recharged quickly, lightweight traction motors for EVs, and e-bikes with variable speed systems, as well as large-scale charging stations with great future potential. The four-in-one event was more than about sourcing. 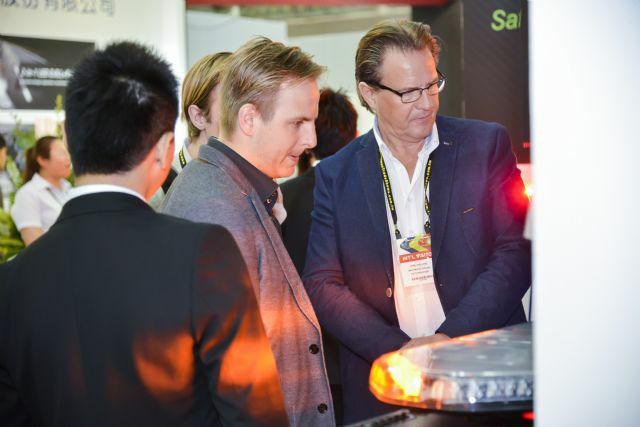 It also offered the Innovation Awards Display, 2013 Taipei International Auto Parts and Auto Electronics Forum, 2013 Smart, Safe and Connected Automotive Technology Seminars, and many other attractions. To help participating exhibitors expand business opportunities, the organizers of the four shows invited heavyweight buyers from all over the world for face-to-face business negotiations at widely anticipated annual "one-on-one" biz-negotiation meetings. 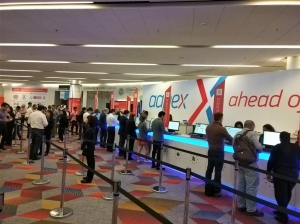 More than 200 meetings were held during the show period. A total of 20 new energy- and carbon-saving new EV models available for a hands-on experience by visitors, and stunt riders from Japan gave live performances on electric motorcycles in the test-ride areas. And there was even more. 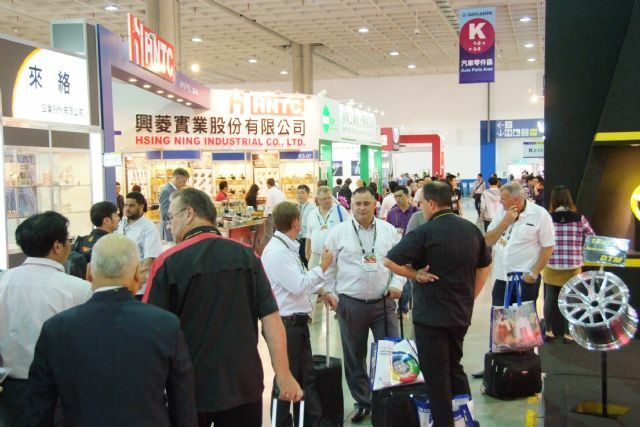 To serve international buyers looking to source high-quality, innovative fastener products made by Taiwanese manufacturers, the 2014 Taiwan International Fastener Show (Fastener Taiwan) was held at the Kaohsiung Exhibition Center on April 14-15, creating a synergistic effect. 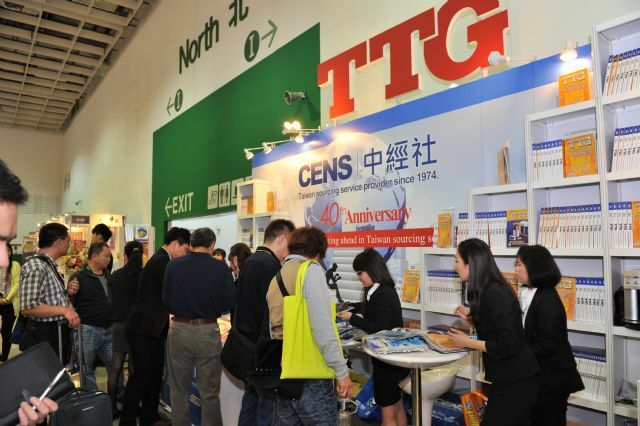 CENS/TTG booths at this year's shows provided useful buyer guides, as usual.